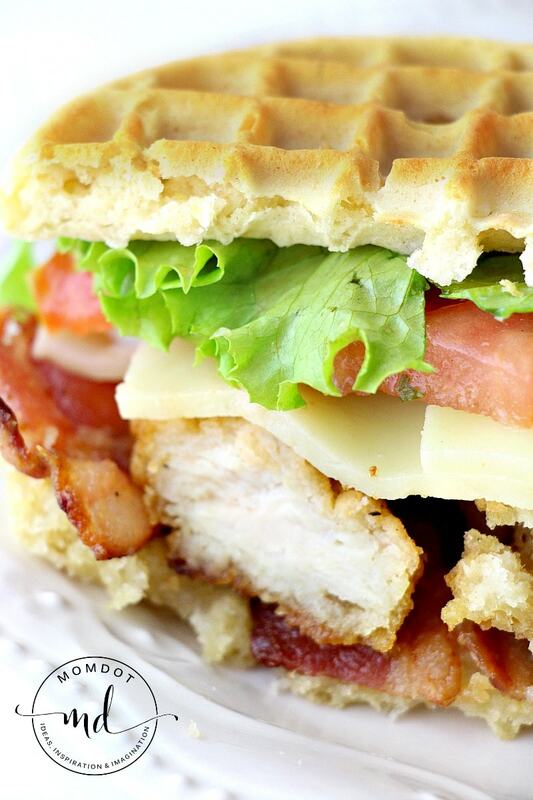 Home » Recipes » Chicken » Chicken and Waffles..OMGee! Chicken and Waffles. It’s a thing! I came across this fantastic looking sandwich the other day in some random magazine. 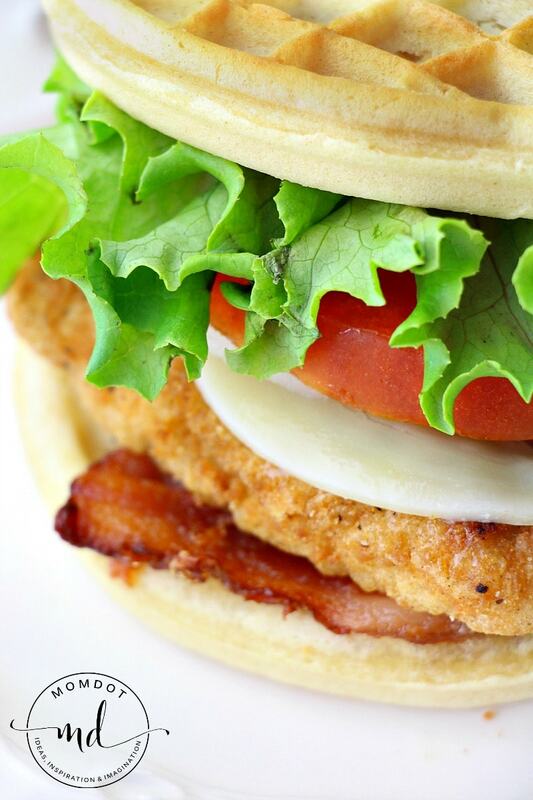 I normally do not stop on sandwiches, but it was chicken in the middle of WAFFLES and it made me look twice. I knew it was something I had to try. Not only for me, but for Charlotte, who happens to be picky a la picky. What I found was that it was mega tasty so I wanted to pass on the recipe for those who wanted to try something new. If you need a side dish to go with this, I find that this Easy Bacon Broccoli Salad goes with just about anything. 2 pieces of frozen waffles….or if you are adventurous I suppose you could make your own. I used the Eggo whole grain. Toast them first. Obviously. 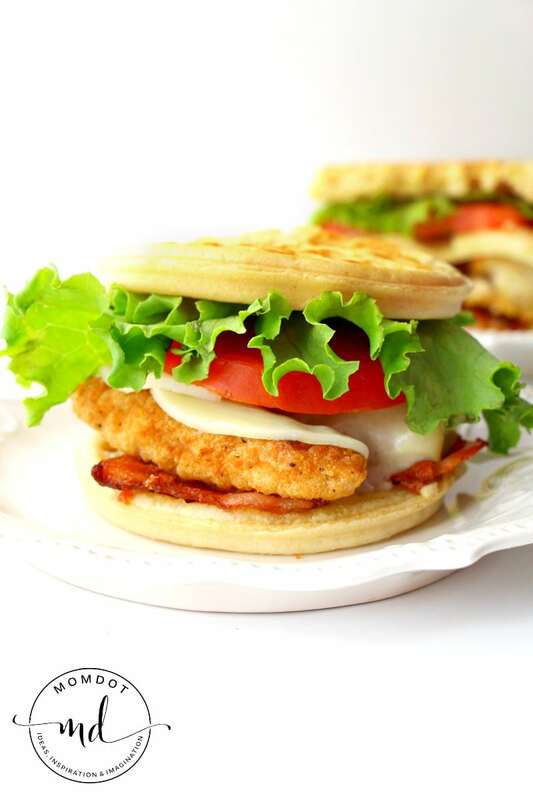 Assemble your chicken and waffle sandwich by spreading mayo mixture on waffles, add turkey or chicken and all your fixins. Honestly, this Chicken and Waffles was the easiest sandwich ever and the wholegrain waffles were perfect and crunchy. The mayo was slightly tangy and slightly sweet. Charlotte loved the novelty of waffles as part of her sandwich. It was win/win all the way around and only took about 5 minutes to prep this fun dinner! 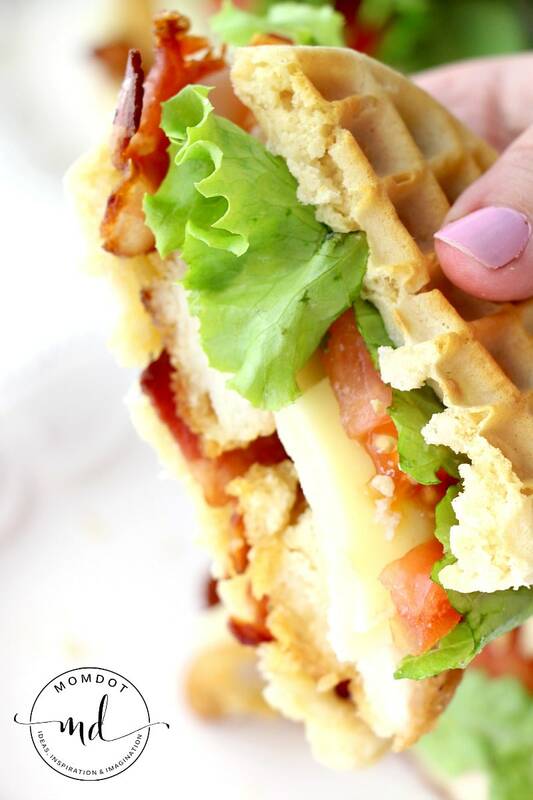 Assemble sandwich by spreading mayo mixture on waffles, add turkey or chicken and all your fixins. Looking for another awesome sandwich that looks odd but tastes amazing? Try Peanut Butter and Bananas, otherwise known as the Dale Earnhardt. Jr. Sandwich ! « Flower Pot Cupcakes: So Cute! 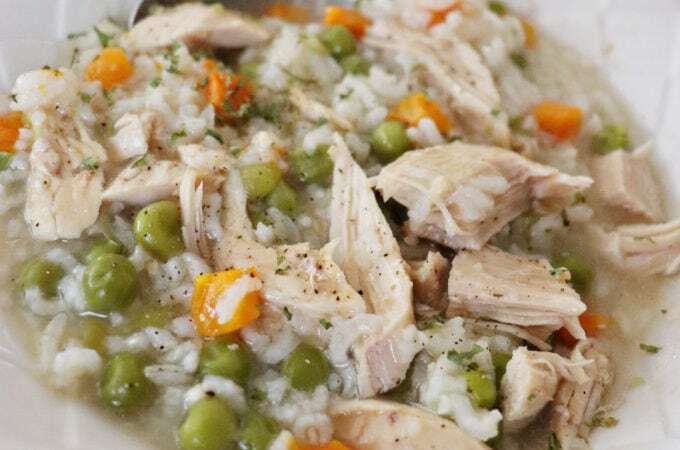 That looks so good and I am sure my kids would love it! Chicken and waffles is one of my favorite meals!!! Everyone has got to try it at least once. This sounds really good! Owen’s a picky eater and I think he’d love this. 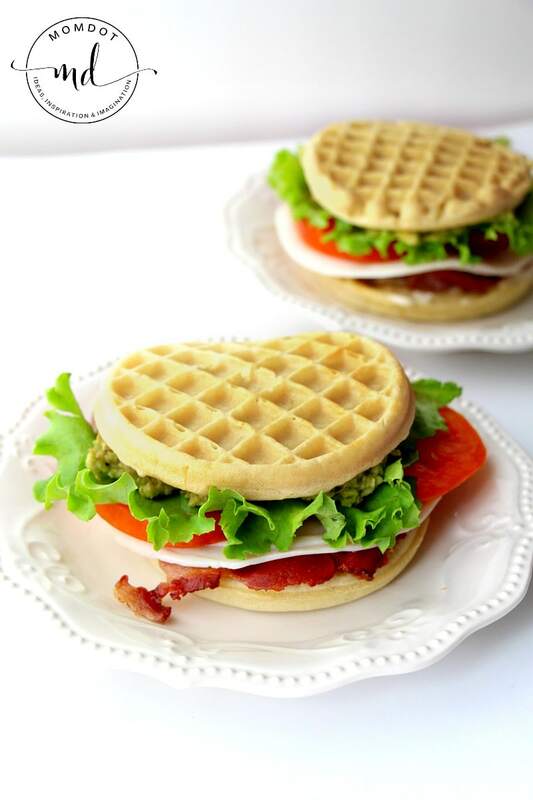 I think the innards look awesome but I don’t think I could force myself to do a lunch like sandwich on waffles …. now maybe some scrambled eggs, cheese and ham, that would ROCK! no, do it. DO IT! Use the whole grain ones…im telling you, it will shock you. I was so surprised! It tastes like a deli sandwich but looks more fun. Oh my this is definitely a must try! 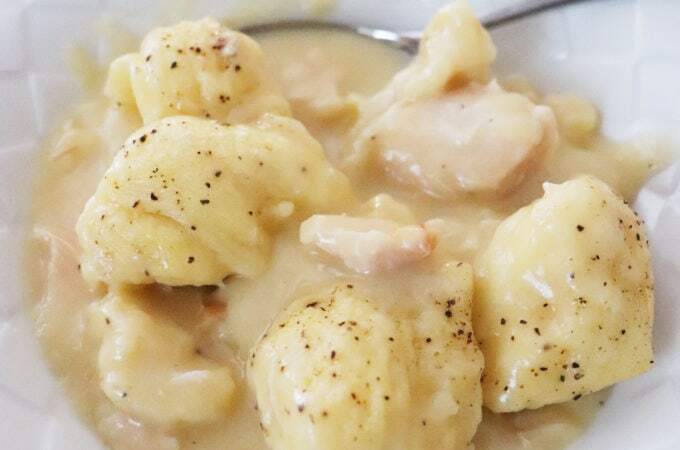 i usually dont blog recipes…but honestly it was so good.